Hey everyone! This weekend in England has been 'V Festival', I'm not a festival kind of girl. I love music, but I'm not a fan of standing up for long periods of time, or getting muddy, or camping, so festivals are definitely not for me! 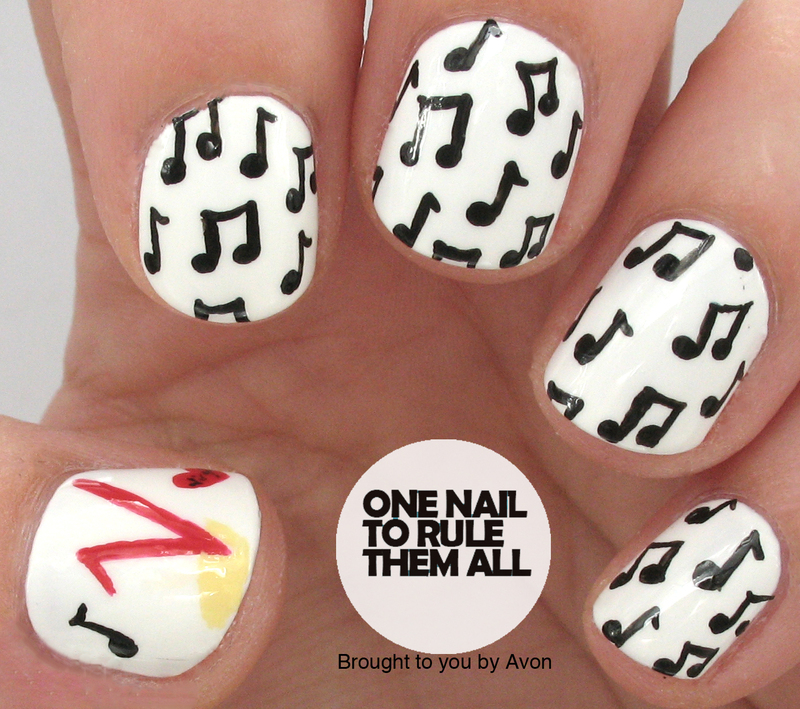 Nevertheless, Avon asked me to do some nails in honour of V Fest, so of course I obliged. I did the logo on the thumb, along with the Virgin heart from the logo, and then I did musical notes on the other fingers. It was actually a lot quicker to do that I expected so if you like this look, even just with the musical notes, I promise it doesn't take too long to do! Like an idiot I deleted my other photos, so this is the only one I have!